The iPhone X celebrates the 10th anniversary of Apple and it’s making big changes for 2017. Is it worth the extremely high iPhone X price? What are the big features you need to know about? We have all of your iPhone X & Iphone 8 answers to help you decide whether to upgrade or not. The iPhone 8 is essentially the iPhone 7S, as it’s more of an incremental upgrade from 2016’s iPhone 7 – although there is a new glass design, improved display, updated camera and more power under the hood. Like the iPhone 7, the iPhone 8 also has a 4.7-inch display, which should keep the handset at a manageable size for one-handed use. It’s not the same display however, with Apple upgrading the Retina HD display, which comes with improved color accuracy and a cinema wide color gamut. Apple says the iPhone 8 battery will last a similar amount of time to the one in the iPhone 7, so expect a day of usage and a nightly recharge. The iPhone 8 does come with fast-charging capabilities, giving you 50% of charge for just 30 minutes of plugged-in time. Thanks to its glass back the iPhone 8 also offers wireless charging, enabling you to top up your phone without having to fumble around for a cable. 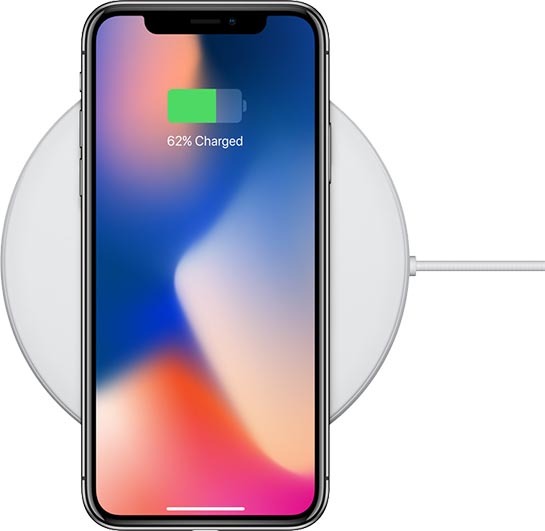 Apple has adopted the Qi wireless charging standard, which is already supported by a number of cars, stores, restaurants and work places. It looks like you’ll have to pay for a wireless charging pad separately though, with just a standard cable in the box, which is obviously another moneymaking scheme off apple. Clever on their part – very annoying for customers. Front & back are glass, with a strengthening layer that is 50 percent deeper. 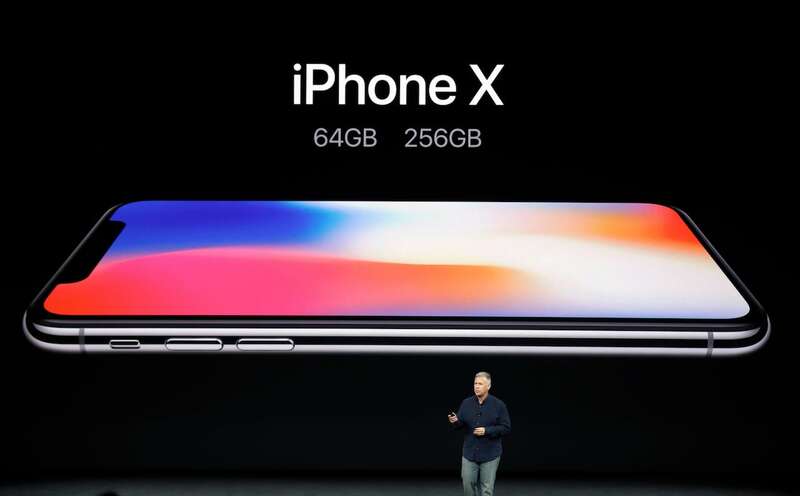 Apple managed to make the iPhone X bigger, yet smaller at the same time. It’ll have a more expansive 5.8-inch edge-to-edge screen (that’s the bigger part), but the size is actually smaller than a Plus-sized iPhone. It also feels lighter. Apple’s first edge-to-edge display, which means it lacks bezel at the top and is missing the home button at the bottom. It replaces them with more screen. It doesn’t have curved screen sides like Samsung’s phones, however. 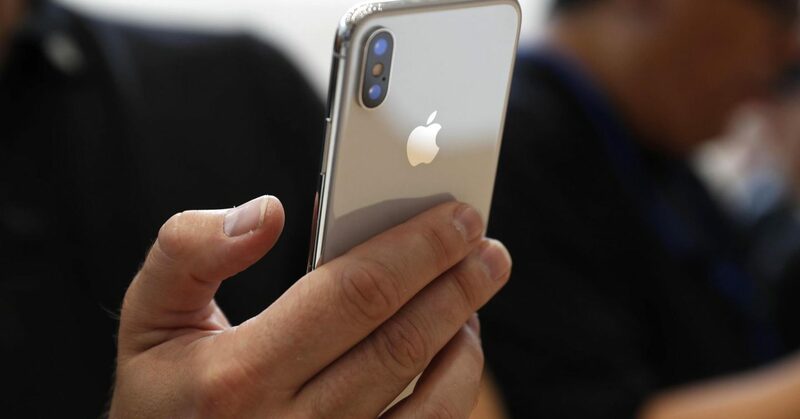 Having no home button and Touch ID sensor is going to be the biggest change that long-time Apple users will have to get used to the new iPhone controls. Touch ID failing you has a 1 in 50,000 chance. The chance a thief (or the FBI) can look at your iPhone and unlock it with Face ID? It’s now a 1 in 1,000,000 chance. Animoji has Apple taking emoji to the next level, utilizing its TrueDepth camera to mirror your facial expressions on a animals or… other creations, yes, like the poo emoji. The IPhone X starts at £999 in the UK for the 64GB version, going up to £1,149 for the 256GB model. Coming in space grey and silver, it will be available to pre-order from October 27 and will ship on November 3. 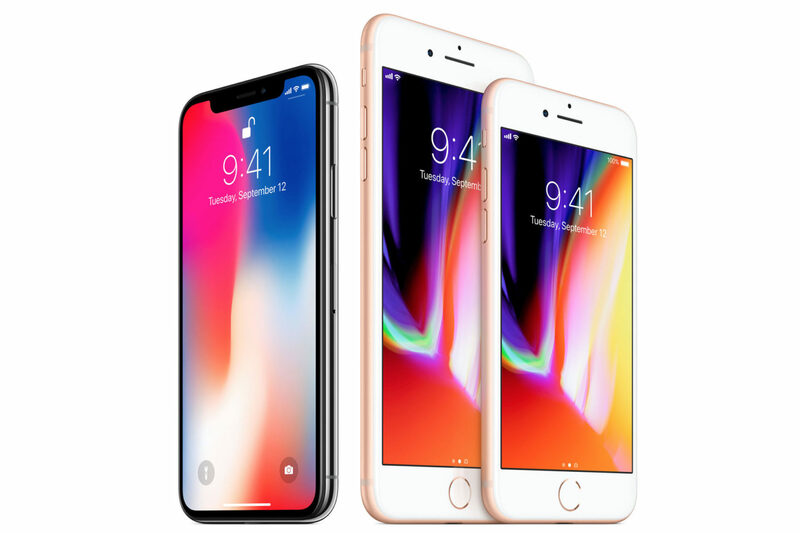 We’ll be buying the new iPhone X over the iPhone 8 mainly because we feel it is important to keep up with the latest digital tech as it is the center of our business. The iPhone X offers a lot more than the 8 and it a lot different to the iPhone 7 that is currently on the market. Being a digital agency an iPhone is essentially our office which we take and work on wherever we go, therefore it is important that we invest in the highest level of technology as possible.